With elements of surfing and skateboarding the sport has become one of the most popular at the Winter Olympics. 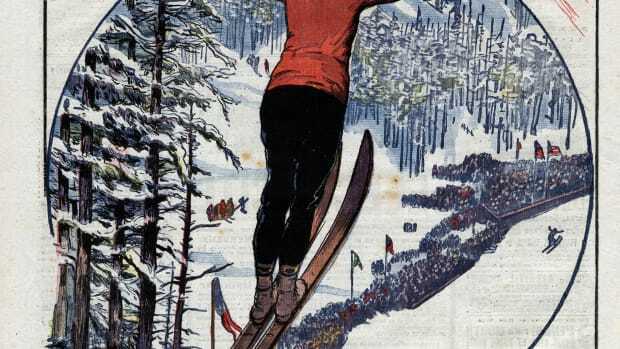 Skiing has been a method of transportation since prehistoric times and a competitive sport for more than a century. In contrast, skiing’s younger, hipper counterpart—snowboarding—only emerged in the 1960s, after surfing and skateboarding had already gained mainstream popularity. Like skiing, surfing is also quite old. Native people of Hawaii and other Polynesian islands had been surfing for hundreds of years before the idea of riding waves on a long wooden board spread to American teenagers in California in the early 20th century. By the late ’50s, some young people began to attach wheels to boards so they could “surf” sidewalks. Soon, the Beach Boys were singing about catching waves, while duo Jan and Dean sang about “Sidewalk Surfin.’” (Admittedly, that song was a copy of the Beach Boys’ “Catch a Wave,” with different lyrics.). If teens could ride waves and sidewalks, why not snow? 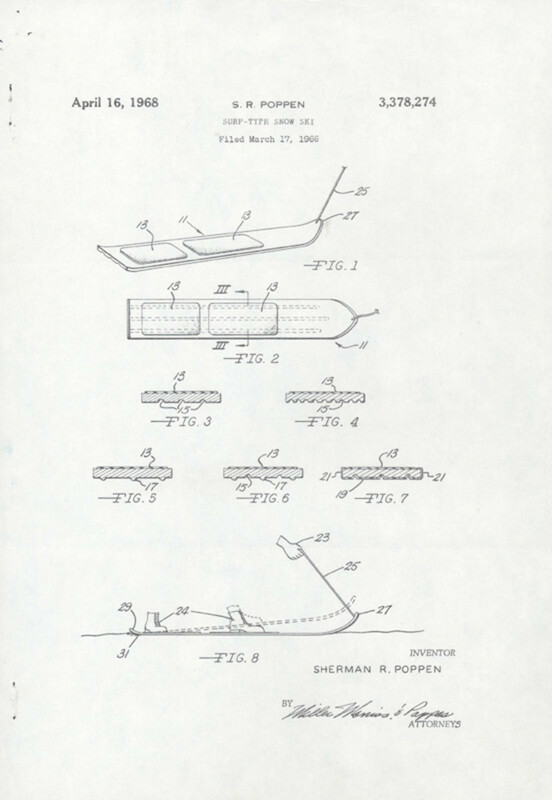 That’s what American inventor Sherman Poppen was thinking when he bound together a set of children’s skis for his daughters in the mid-’60s. Just as it’s not clear who came up with the idea of skateboarding, it’s also a mystery as to who first tried to bring the idea of surfing to winter sports. (It’s not hard to imagine that some kids had already tried it on their sleds.) But in the history of snowboarding, Poppen stands out as the first person to market snowboards—or as he called them, Snurfers. Ski resorts and their guests didn’t immediately welcome snowboarders when they began hitting their slopes in the 1970s; and many resorts wouldn’t let snowboarders use their lifts to ascend their mountains. 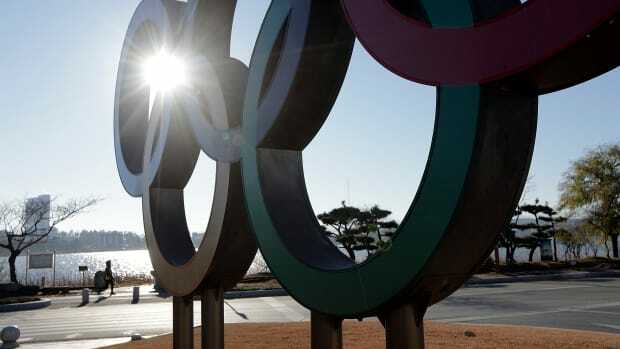 But by the 1990s, most resorts had changed this policy, according to the International Olympic Committee (IOC). 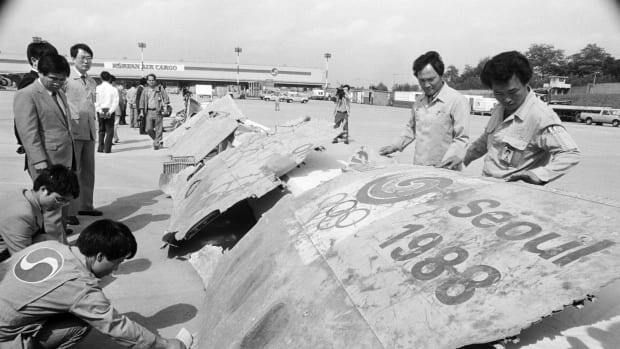 Shortly after that, snowboarding became one of the sports to benefit from the IOC’s competition with the X-Games founded in 1995 by ESPN as a way to showcase “extreme sports” like surfing, skateboarding, and skiing. 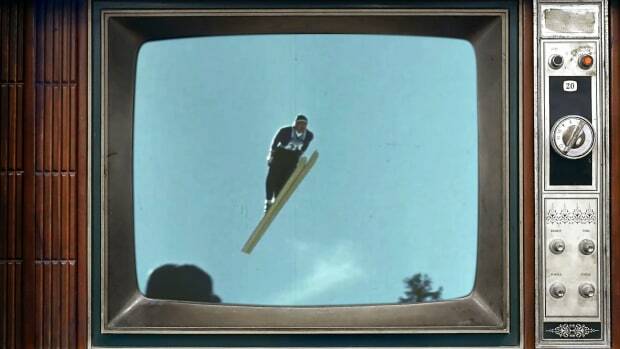 In response, the Olympics began adding more extreme sports to woo the same younger viewers who were drawn to the X-Games. 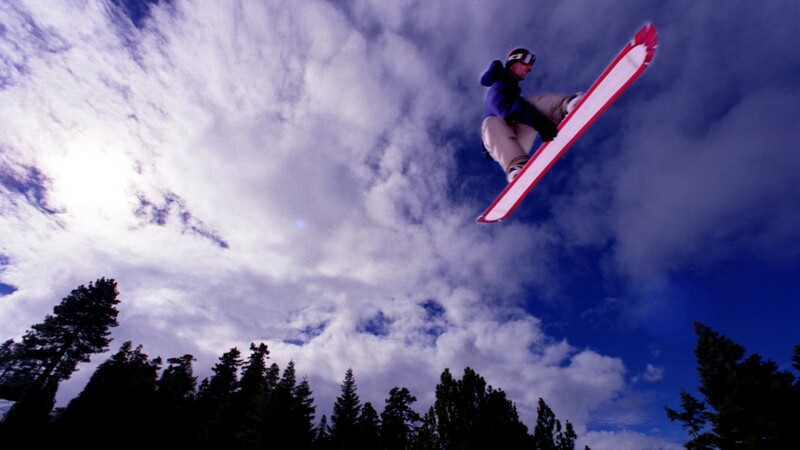 Snowboarding made its Olympic debut at the 1998 Olympics in Nagano, Japan. 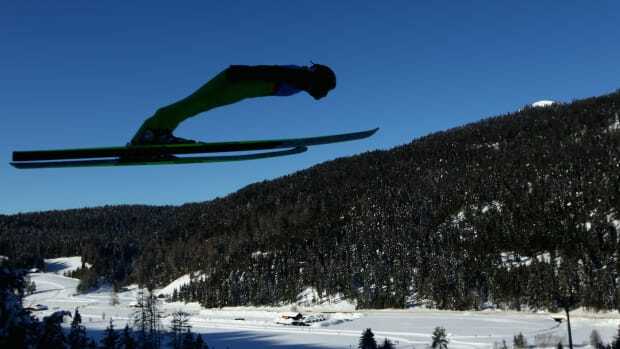 Twenty years on, it’s now an important part of the Winter Games. 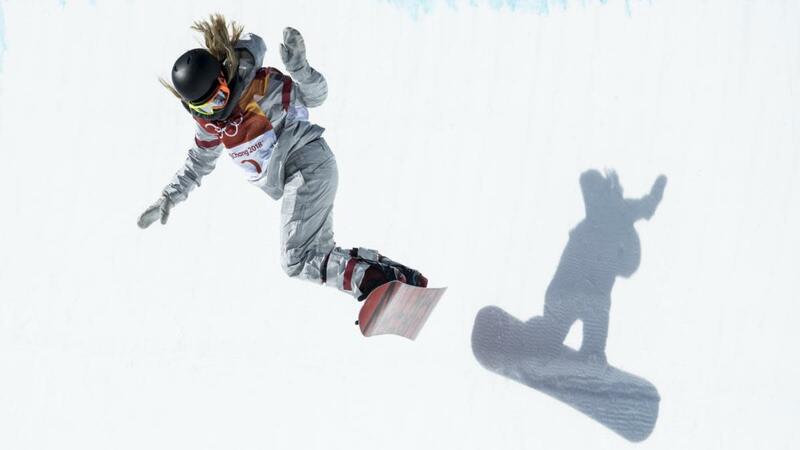 During the 2018 Olympics in Pyeongchang, it’s significance was evident in NBC’s heavy promotion of gold-medalist Shaun White, as well in the recent calls for the network to pay more attention to other snowboarders.